Dr. Julie Beth Zimmerman is co-founder and Principal of Sustainability A to Z, LLC. She also serves as Donna L. Dubinsky Associate Professor of Environmental Engineering jointly appointed to the Department of Chemical & Environmental Engineering and the School of Forestry and Environmental Studies at Yale University. Her research interests broadly focus on green chemistry and engineering with specific emphasis on green downstream processing and life cycle assessment of algal biomass for fuels and value-added chemicals, as well as novel biobased sorbents for purification of drinking water and remediation of industrial wastewater. Other ongoing focus areas include the design of safer chemicals from first principles and the implications of nanomaterials on human health and the environment. Further, to enhance the likelihood of successful implementation of these next generation designs, Dr. Zimmerman studies the effectiveness and impediments of current and potential policies developed to advance sustainability. Together, these efforts represent a systematic and holistic approach to addressing the challenges of sustainability to enhance water and resource quality and quantity, to improve environmental protection, and to provide for a higher quality of life. 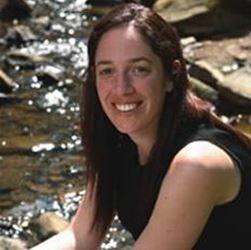 Dr. Zimmerman previously served as an Engineer and Program Coordinator in the office of Research and Development at the United States Environmental Protection Agency where she managed grants to academia and small businesses in the areas of pollution prevention and sustainability and launched EPA’s P3 Aware program. She received a joint PhD from the University of Michigan in Environmental Engineering and Natural Resource Policy.